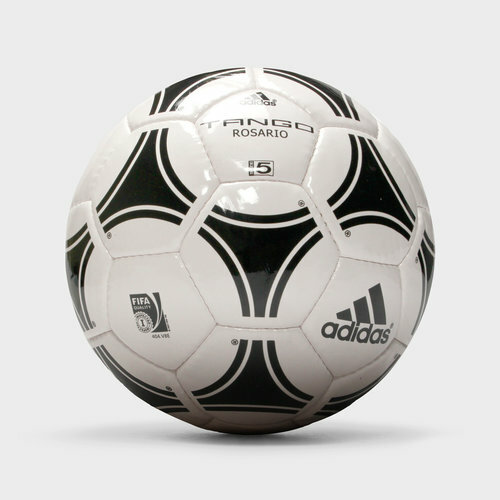 A true classic which has stood the test of time, the adidas Tango Rosario Training Football is back for more action. An official size 5 training football, the adidas Tango is classed as FIFA Quality Inspected for all round great performance. This means that it has passed tests regarding weight, circumference, roundness, bounce, water absorption and loss of pressure, so you can be assured of quality each time you take to the pitch. Retaining the iconic Tango pattern across the ball, a simple black and white design ensures a timeless look that football purists will appreciate.